4/16/2019 - And that's a wrap! Tonight we selected our Bantam A, 16 & Under AA, and 18 & Under AA teams and another year of tryouts is in the books. Thanks to everyone who participated - we are looking forward to a great 2019-2020 season! The New Jersey Devils Youth Hockey Club is committed to creating an atmosphere fosters player self-confidence, develops high self-esteem, and builds strong character. We provide the most qualified professional staff available and follow a curriculum that is built upon the most up-to-date coaching methods and research in the field of child development. We offer a complete range of ice hockey programs from the beginners level to the highly competitive AAA USA Hockey-sanctioned level to programs for players with disabilities. All of our programs, regardless of level, are structured to provide players with the latitude for personal growth that enables each participant to reach his or her maximum potential as an individual and help to prepare him or her to succeed in life's competitive environment. The cornerstone and driving principle of this organization is our Commitment to Youth. 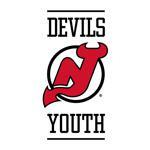 Junior Devils Inc. d/b/a the New Jersey Devils Youth Hockey Club is not affiliated with the New Jersey Devils. The New Jersey Devils name and logo are trademarks of the New Jersey Devils. (c)NHL 2015. All Rights Reserved. Used with permission. Click here to make a donation to the NJDYHC Sled Hockey program. Visit Devils Youth's profile on Pinterest.